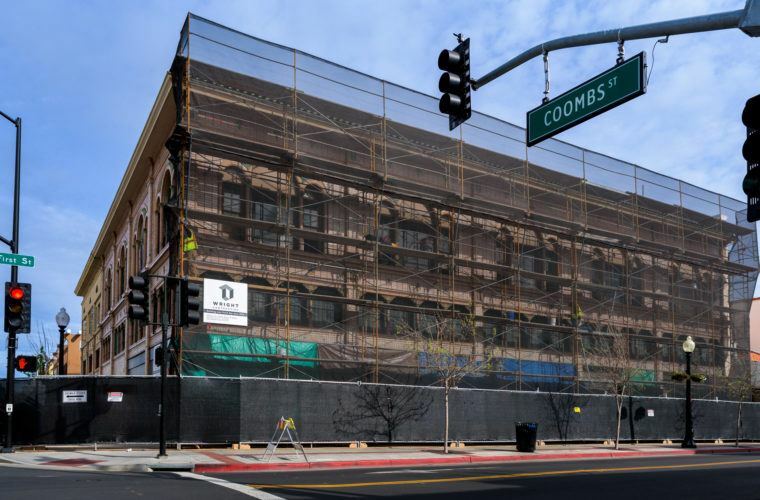 Earthquake retrofitting and a complete renovation are currently in progress at the historic Gordon Building in Napa. The 1930s era structure features a Spanish Colonial Revival Style and is known for it’s architectural design and elaborate details. Built in two phases between 1929 and 1935, the Gordon Building was home to many businesses and has been empty since 2014 after the South Napa earthquake. While retaining its historic look, the two-story, 20,000 sq. ft. building will be renovated to accommodate future retail and office tenants.